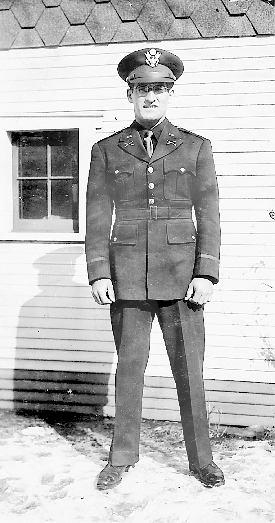 Harold Sandler had just been commissioned a 2nd lieutenant at Fort Benning, Ga., when he tried on his new officer’s uniform for the camera. 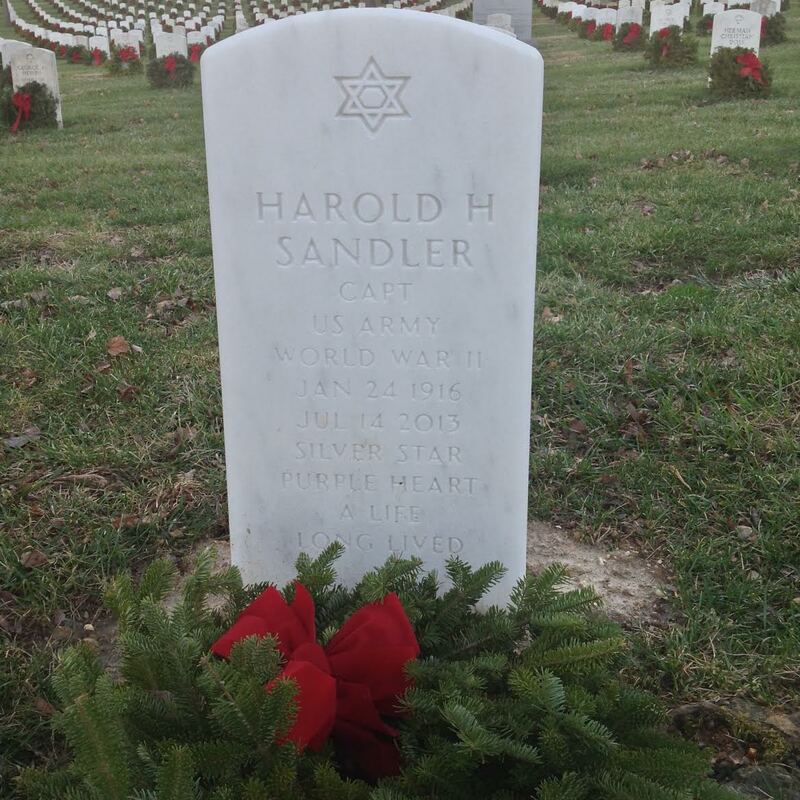 Harold Sandler didn’t start out to be a “Ninety-day Wonder” or a war hero, but that’s what he became by the time World War II was over. The Venice, Fla., resident’s lottery number for the draft came up two days after the Japanese bombed Pearl Harbor. Sandler began his military career as a halftrack driver. He and a bunch of other newly made officers were sent to North Africa. They missed the North Africa fight, but they were in time for the invasion of Sicily in 1943. He was assigned to headquarters company, 3rd Infantry Division. Gen. George Patton commanded the 3rd Army, of which the 3rd Division was a part. “This was about the time Patton got in trouble for slapping a shell-shocked soldier. The feeling among the guys in our unit was that Patton was wrong in this instance,” Sandler said. On several occasions, the young 2nd lieutenant had his own face-to-face encounters with the flamboyant general. Patton liked to sit in on the debriefings of platoon leaders who had just returned from reconnaissance patrols into enemy territory. He wanted to get a feel for how the war was going. Sandler’s unit was sent through the center of Sicily into the little villages while taking Messina from the Germans. Both Patton and British Gen. Bernard Montgomery were racing to capture the principal city first. They were lucky and reached Messina without encountering any serious injuries. From there, the 3rd Infantry Division moved on across the Straits of Messina to Salerno, Italy. “We got pounded when we hit the beach at Salerno, but we kept on moving and headed north toward Naples,” he said. At the Volturno River, north of Naples, the 3rd Division ran into stiff enemy opposition. “We just got across the river and there was a lot of enemy resistance. The headquarters unit sent my platoon out at night to see what the Germans were up to,” Sandler said. “We knew the enemy was all over the place so this time they also sent an intelligence major with me. 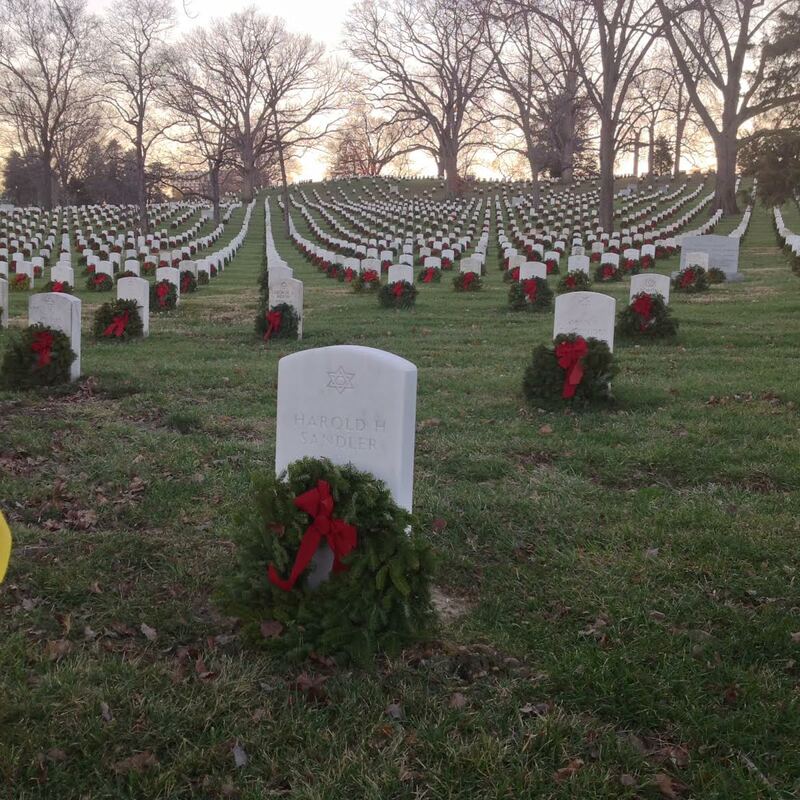 “My platoon was walking along the sides of a road in the dark at 10-yard intervals. All of a sudden, enemy machine-gun fire broke out on our right,” he said. “I heard one of my guys get hit. Then, on the left, another German machine gun opened up on us. “The Germans couldn’t have been more than 50 feet away when they cut loose on us. As I ran toward them, I kept my finger on the trigger,” he said. “Then all of a sudden the enemy fire quit. When I got to where the machine gunners were, there were three dead Germans in the ditch. Sandler’s injured soldier only suffered a minor flesh wound to one arm. They put sulfur powder on the wound, bandaged him up and continued on their mission. “The major who was with us that night was much impressed and put me in for a medal even though he said I shouldn’t have done what I did. After thinking about it for a while, I had to agree with him. I shouldn’t have charged the machine guns, but sometimes you do what you have to do,” he said. For his action that night in Italy, 2nd Lt. Harold H. Sandler received the Silver Star for valor. It ranks below the Medal of Honor and the Distinguished Service Cross and is third in importance. Sandler was taken to a MASH unit behind the front lines, where he received specialized medical treatment from one of the few oral surgeons in the 3rd Army. The physician wired his jaw shut and someone else worked on his shrapnel-damaged face. He was transported to a hospital in Iran. They wouldn’t send him by plane because they were concerned he might choke to death if he became airsick with his jaw wired shut. After nearly three months of recuperating, he was reassigned to light duty with the 204th Quartermaster Car Company based 30 miles north of Naples, Italy. His new unit controlled all the captured enemy cars and other vehicles used by the 3rd Army. In early 1945, his company commander was ordered to deliver a message to Pope Pius XII at the Vatican in Rome. When his commander delivered dispatches from American forces to the pope, he took Sandler with him on the trip. “We were ushered into this tremendously ornate room in the Vatican with a high ceiling covered with murals,” he recalled. “On the walls in this huge room were the Stations of the Cross in Hebrew. I could read them. Harold Sandler on the far left. Egypt’s pyramids in background. Photo provided by Harold Sandler. “My captain, who was Catholic, knelt and kissed the pope’s ring. When the captain finished presenting the official messages to the pontiff, he told the pope they were on their way to tour the Holy Land. Pius pulled a piece of personal stationery out of his desk drawer, wrote a note and handed it to the captain. “The note he wrote for the captain would get us into the Church of the Nativity or the Holy Sepulcher or anyplace else we wanted to visit in the area. The pope explained it was Greek Easter in the Holy Land. 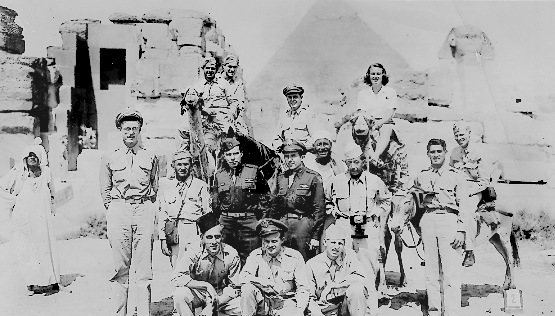 “We toured Egypt, went to Cairo and saw the pyramids. We were in Tel Aviv when the Germans surrendered. You talk about wild celebrations — the Jews were going crazy there when they got the news. This story was first published in the Charlotte Sun newspaper, Port Charlotte, Fla. in 2005 and is republished with permission. 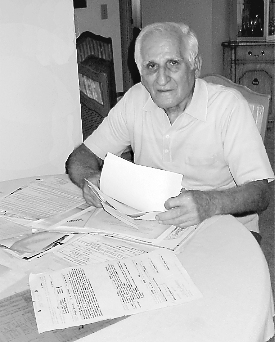 Harold H. Sandler, 97, of Venice, FL , formerly of Miami, FL and Chicago, IL, died Sunday, July 14, 2013, at the Douglas T. Jacobson State Veterans’ Nursing Home. A retired electrician, Harold was a Captain who served with Gen. George Patton in North Africa and during the invasion of Sicily and Italy in WW II. He received the Silver Star for charging two German machine-gun nests with his Thompson submachine-gun while on patrol near the Volturno River, north of Naples, Italy. A few days later he was seriously wounded by shrapnel from a German tank’s 88 millimeter cannon. He spent weeks in the hospital recovering from his facial injuries. He received the Purple Heart for his bravery. He is survived by his wife of 67 years, Mary Gloria Sandler; daughter, Arlene Moore of Venice, FL; son, Aaron Sandler of Bradenton, FL; son-in-law, J. Colin Moore of Venice, FL; and two grandsons, Thomas Brendan Moore of Venice, FL and Devin S. Moore of Las Vegas, NV. In lieu of flowers donations may be made to the Douglas T. Jacobson State Veterans’ Nursing Home, 21281 Grayton Terrace, Port Charlotte, FL. 33954. 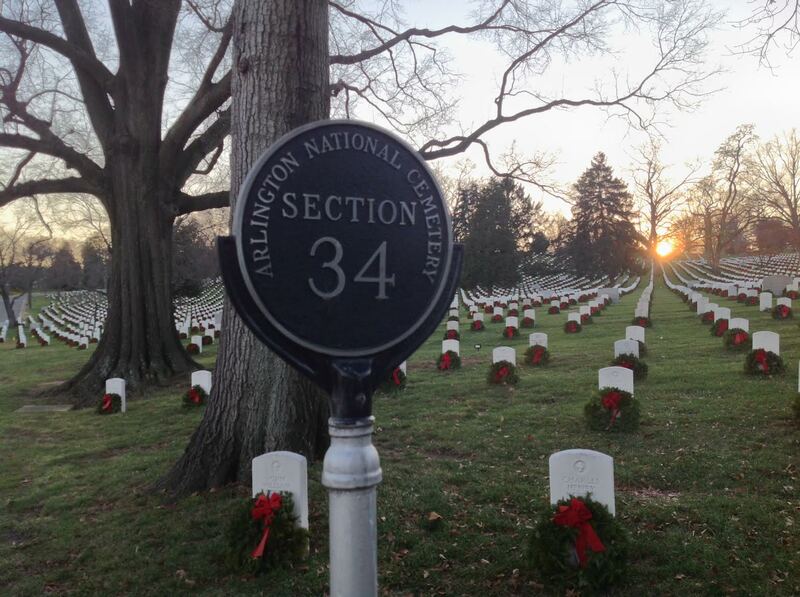 Burial will be at Arlington National Cemetery Tuesday, September 30, 2014 with full honors.